A few weeks ago my husband and I went antiquing to look for a small two person table to fit in our kitchen since we don’t have a dining room in our rental. 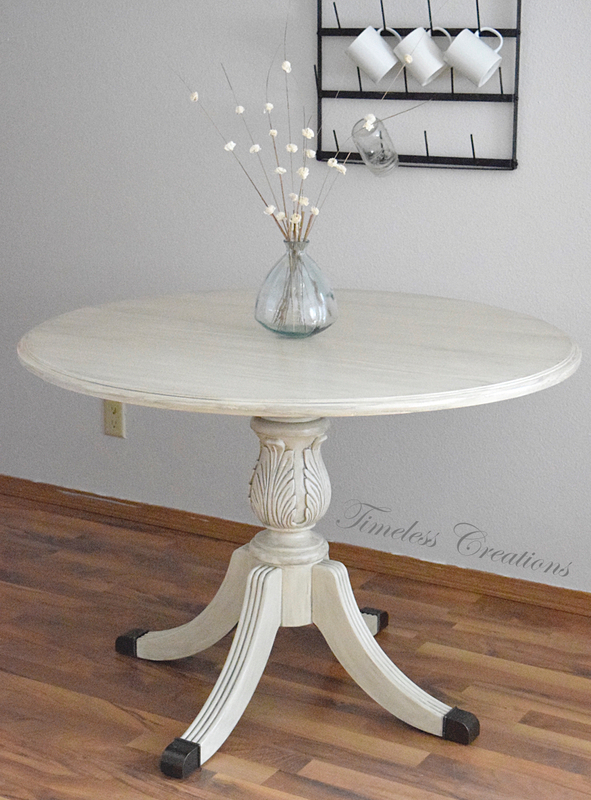 We went to a local antique mall and found a great drop leaf table that was perfect for our small space. It wasn’t even 5 days later that I was shopping with my sister and we just decided on a whim to stop at the Habitat Restore to try and find some chairs for our new table. Well, instead of chairs we found another dining table! Surprise! For your convenience in locating products we have used, this article contains affiliate links. All products are items we use ourselves and genuinely recommend. If you make a purchase after clicking, we will earn a small commission at no additional cost to our. For more information go to our “Disclosures” page. It took some maneuvering to get the table downstairs to my workshop, but by taking the table top off it made it much easier to paint anyway! Bonus! The top had a couple gouges in the side of it, so of course I grabbed the wood putty. Lately we have been using this wood filler since it is so easy to work with. 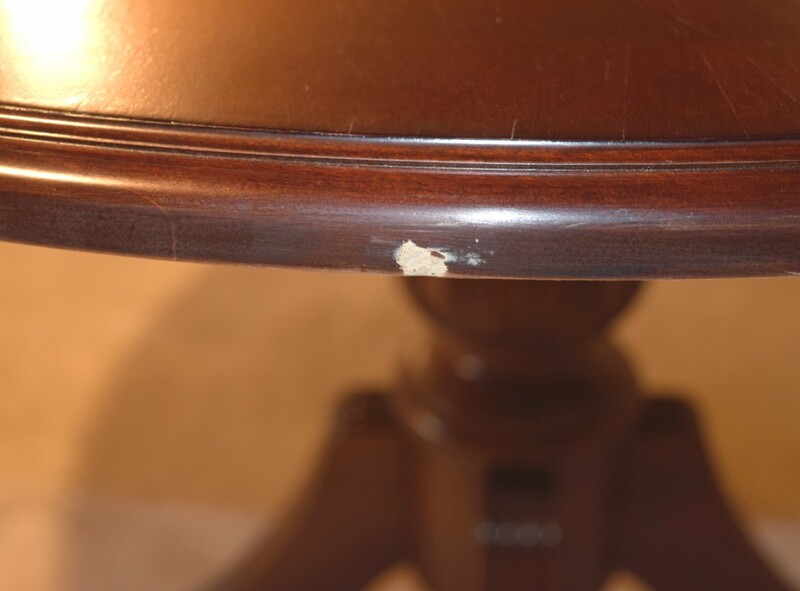 Some tiny holes and scratches were also filled, then the entire table was sanded. We then mixed up about 4 parts French Linen paint to 2 parts water in a cup for the “wash”. To apply the wash a foam brush was used, which is about the easiest way that we have found. 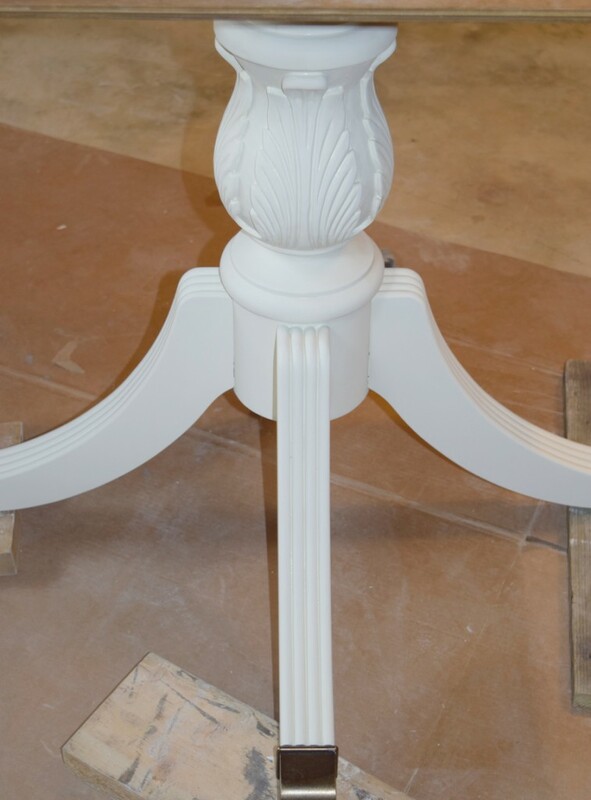 We started with the pedestal and applied the wash a section at a time so we could wipe it back with a dry cloth easier to achieve the look we wanted. For the tabletop we again applied it with the same sponge brush, however, instead of a cloth we used a second, dry sponge brush to wipe the wash back. I have done a wash before on a tabletop and have found removing with a second sponge brush was the easiest way for a table top because it is quicker and you have less risk of getting your finger streaks in it! After the wash all that was left was to seal it! 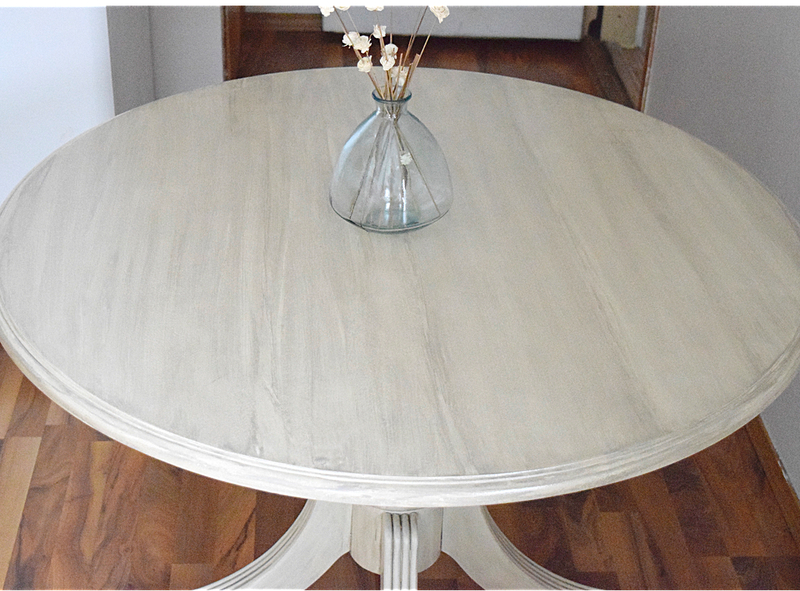 Since a dining table gets a lot of use we decided to apply a durable topcoat (Here is what we use) instead of wax which is a bit stronger of a protectant and shouldn’t need to be reapplied. I just absolutely love when furniture pieces “speak” to you. I knew right away I HAD to have this dining table, and the design scheme was easy to come up with since it is one of our favorite looks. We are so happy with the way the table turned out and was very excited to be painting a piece we had not tackled previously. This look is so gorgeous and is very universal! 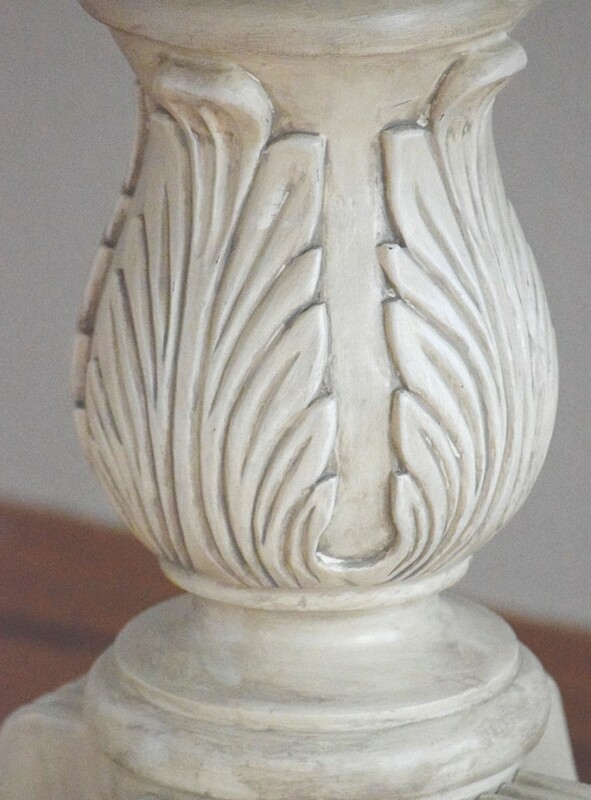 We have tried it before on an old lamp of Kristen’s that needed an update. 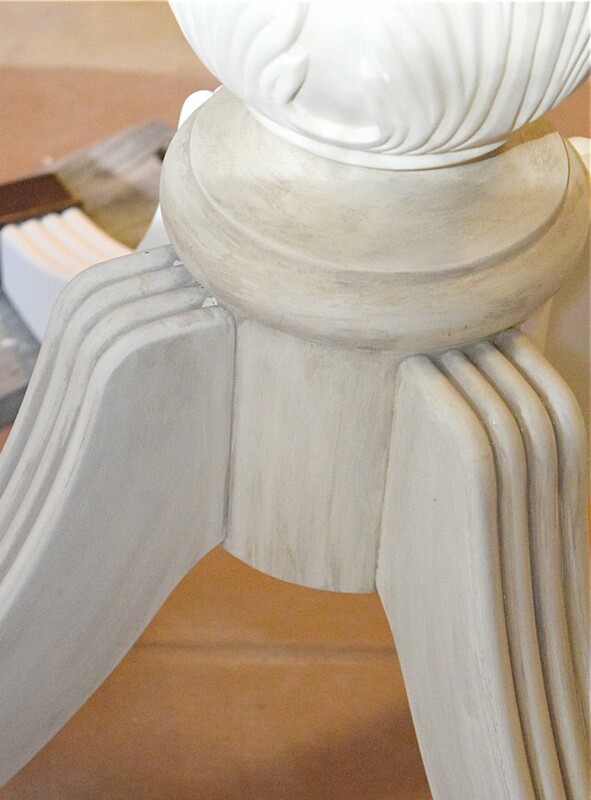 It works for almost anything, but we especially love to give a detailed piece a wash to accentuate that beauty. This is just beautiful! I love the color you used. 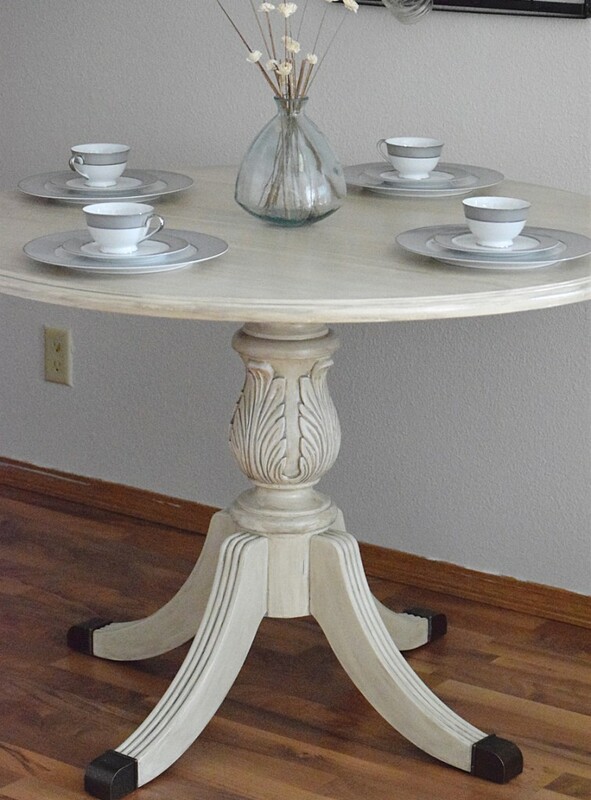 I have a round pedestal table that needs some updating, so I’m pinning this one to refer back to when I get ready to start that project. Thanks for the inspiration! Oh my goah. 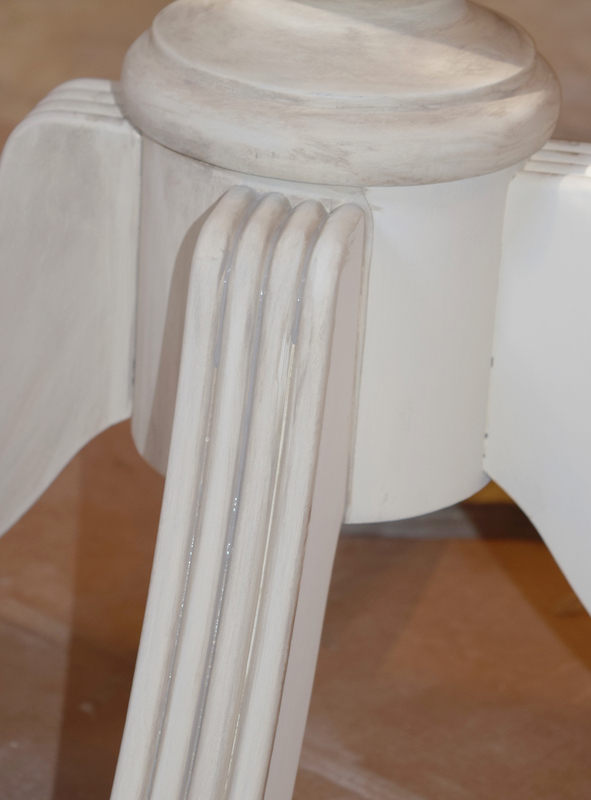 I’m not usually attracted to painted furniture. But this. This is incredible! I would love this piece in my home. Thanks so much Corinna! We absolutely love how it turned out too! Thanks for visiting, so glad you like it! OOOoooo, I absolutely positively love how this turned out. You are so talented! This is beautiful! 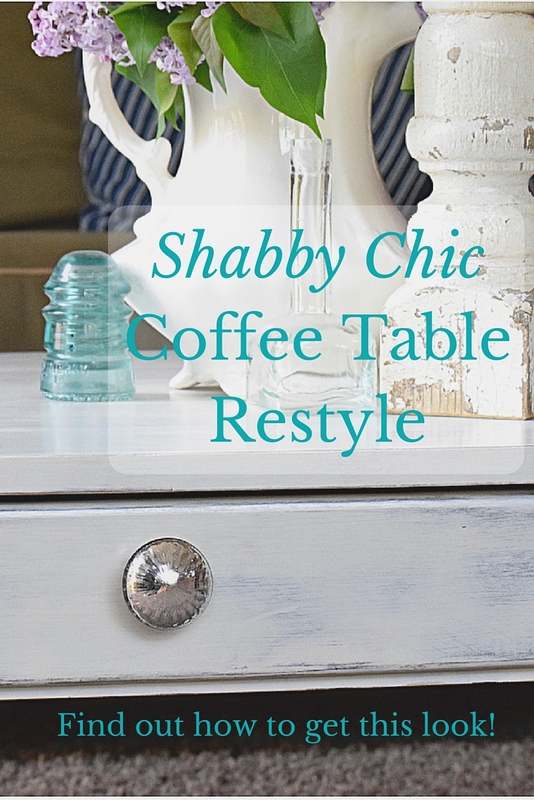 I love the details on that table, and with the new color you can see them so much more now. Ooooh, it looks amazing! I love how the poly and the wash brought out the detail of the base. Great tips too, pinning! Thanks so much for stopping by and sharing Rachel! We appreciate it, glad you liked the table!! Great color, table looks amazing! Thanks for linking up to Merry Monday! Sharing on Twitter! Have a great week! Thank you so much, Kim, for your kind words and for visiting! 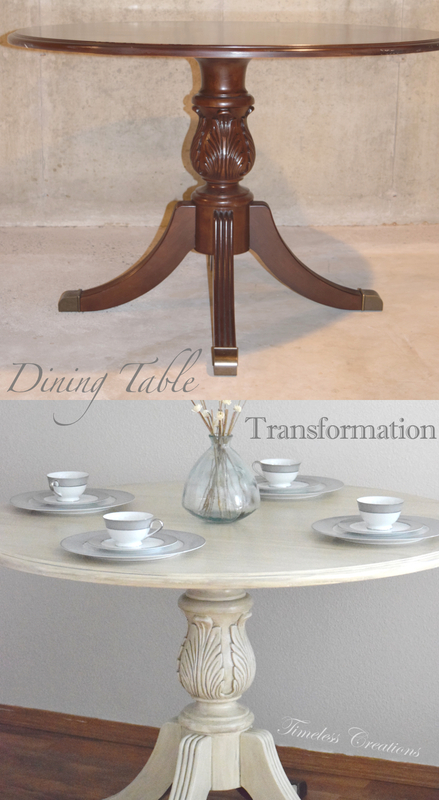 So glad you enjoyed our dining table makeover! Swoon. 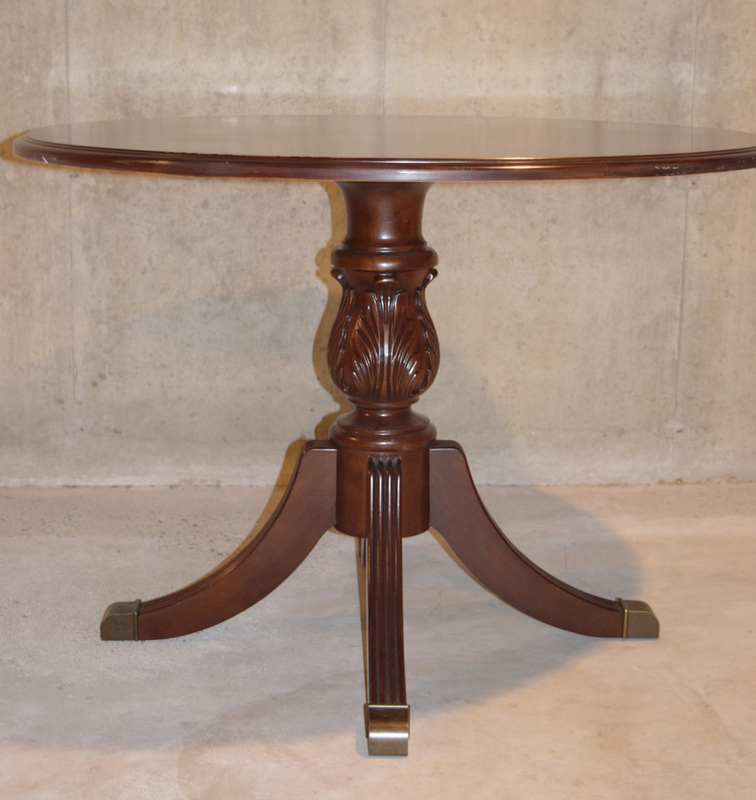 This was a pretty table before, with good lines and I love the brass tip feet, but now it looks so much more relevant. With the coastal look I am going for this is a piece I would welcome into my home. Nicely done. Visiting via Inspire Me Monday. Aww, thanks so much Christine! Your kind words mean a lot! 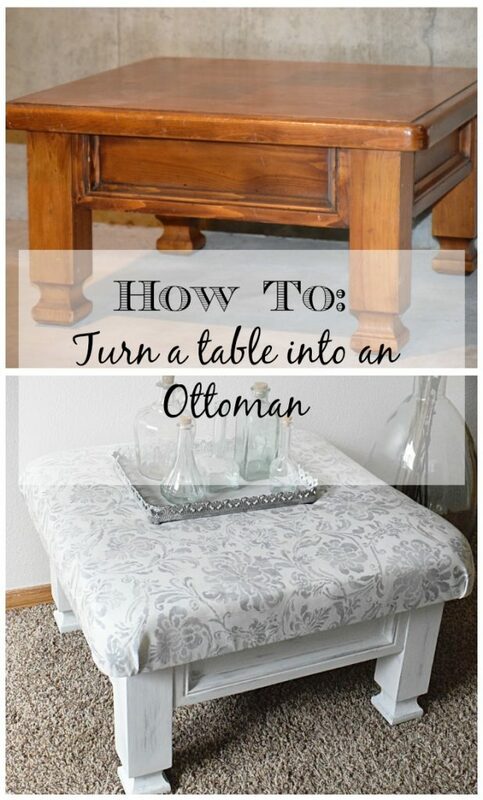 So glad you enjoyed this dining table makeover. We love linking up with your party! This is beautiful and it looks totally brand new! Thanks Sandra! We are so glad you loved our table makeover. Thank you for visiting! I love how updated the table is now. Great job! Good Afternoon Kristen, I love what you have done to your dining table, it really is lovely. 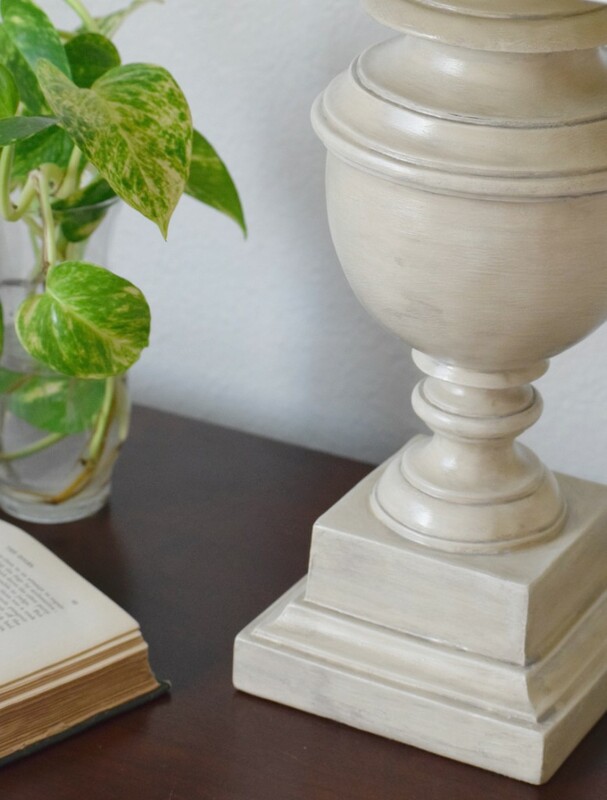 I adore the wash which you used and I wish I had read this post earlier, beause I would have loved to use this technique on the bedside cabinets I just painted. The problem is I have sealed the chalk paint with wax, so its too late to use this wash. I love the wash because It produces an antique effect which is lovely. You will have years of joy from this table. That turned out so beautiful. I think you’ve found the perfect recipe for a wash! I’ve pinned it for future reference. Thank you so much, Pat, for visiting and for loving our table transformation! We so appreciate the pin too! Many of your projects would fit perfectly into my home decor. I featured you on A Little Bird Told Me Link Party. Nice job. I love your work. Oh thank you so much for featuring us Sandra! We so appreciate you stopping by and sending your love for our pieces! You did a good job with the transformation. Thank you so much Camille! What a lovely make-over. Seriously that was awesome. I love painted furniture. I feel like it hides a multitude of problems. This truly is a lovely piece. 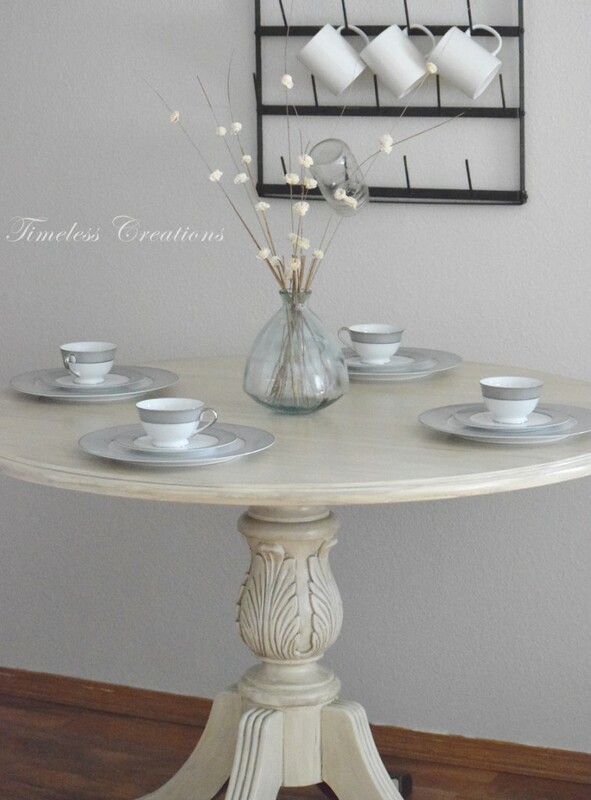 Visiting from Oh Nuts and Thursday Favorite Things link party. Thanks so much Sarah! 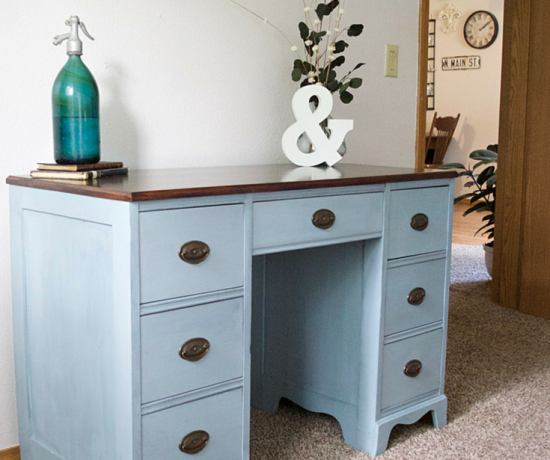 This is on of our favorite ways to paint furniture! Simply gorgeous, so lovely and elegant and the wash adds such a beautiful depth to the whole look. I am taking notes here! This is a really beautiful piece and the wash you have used on it adds so much depth and interest. Pinning and sharing. 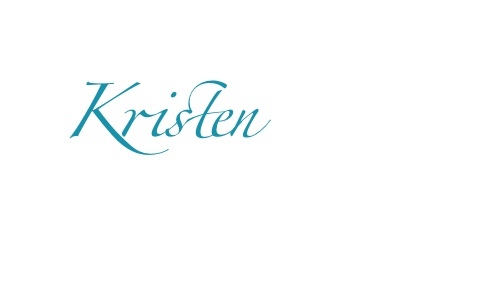 Kristen, I love love love this table!!! I really like the dimension you gave it using that “wash”, I find it perfect! I chose this as my feature for this week’s party, congratulations!! Enjoy the rest of the week! Oh Thank you so much Pili! We appreciate your kind words and the feature! Hi Kristen + Vicki, Well done on that beautiful table? 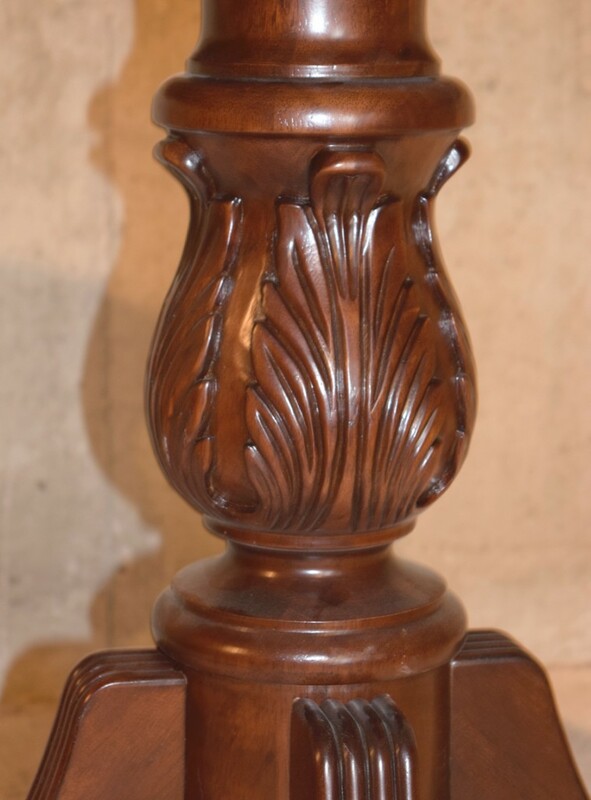 I live in Vermont and am just starting a small business refinishing and selling furniture. 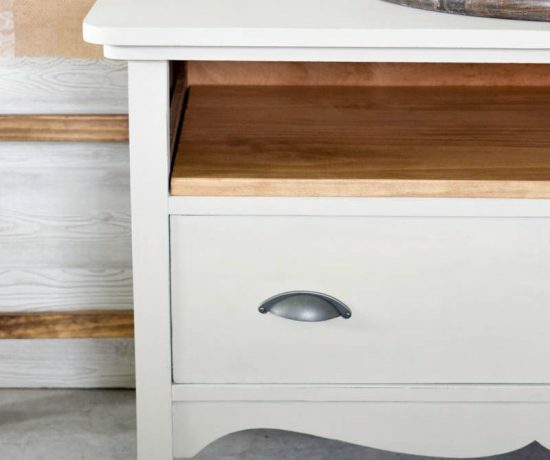 Can you tell me what you might charge for the finished table? I’m trying to figure out what sort of a mark up to add to the cost of a piece after finishing. I know that would vary depending on the region but I’d love to get an idea. Thank you! Actually if you can find the Facebook page “Flipping Furniture for Profit” they have some great info for new and existing furniture painting businesses. We are also a member of “The Artisan Markets” where you can sell your furniture on facebook. They have regional pages so it’s more local. I would assume you could find one in Vermont or very nearby.